Sanjay Panigrahi holds a First Class Degree in Chemistry and Law from Utkal University followed by an MBA in Marketing from the first batch (1980-82), of the Institute of Rural Management, Anand (IRMA) and has been National Merit Certificate holder.Sanjay started his career in Amul in 1982 as one of the First batch of Manageme nt Graduates whom Amul hired from Campus. He worked for more than 21 years in building and running this grass root Farmers’Organisation across geographies and functions under the leadership of Dr. Verghese Kurien. An organisation which has today become Asia’s largest food brand-with a sustainable economic model benefitting on one hand, one million Rural farming households and on the other, Lacs of Satisfied consumers with its Products and Services. Sanjay was a member of the Key leadership team at Amul which launched many new Brands and set up a complete Sales and Mktg Infrastructure across India and abroad which has today made Amul a Rs 15000 Cr plus Business leader.Sanjay subsequently joined another Market leader i.e. 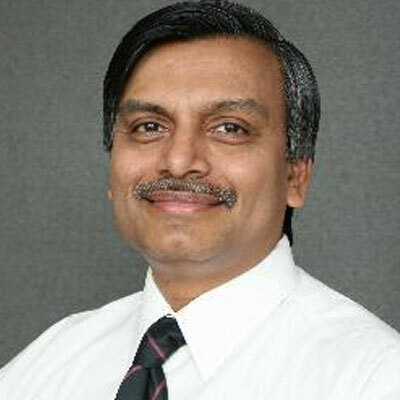 Pidilite (Fevicol) to head the ir Consumer Products Division and worked there for seven years across verticals.During his career, he successfully led marketing of leading brands like Amul, Fevicol, M Seal, Fevikwik,DrFix-it etc, and also headed General Management functions like HR, Personnel, Legal etc. as part of hisCareer progression. Sanjay has been a Champion in the area of Total Quality Management.He spearheaded Quality Management Initiatives at AMUL, which led to their achieving the Nation’s highest Quality award i.e.Rajiv Gandhi Quality Award under his leadership.After serving nearly 28 years, Sanjay moved to head a ‘(new Age)’ Rural Business Organisation which uses IT enabled systems and a Rural Entrepreneurship Model at Gram Panchayat level in Rural India to deliver B2 C, G2C Services to the Rural citizens in the last Frontier of the Indian Market. Sahaj e-Village Limited, which Sanjay had headed, has 28000+ digitally empowered Rural Centres across Six states of India, some of them in challenging geographies and inter iors like Assam, Odisha,UP, Bihar, WB & TN.Rural Entrepreneurs of Sahaj have digitally enabled Kiosks (CSCs) which deliver a Spectrum of Services starting from Financial Services like Banking, Insurance, Premium Collection, Mutual Fund to e-Education, to Consumer Utility Services like Rural Household Electricity Bill Collection, Mobile, DTH Recharges etc. They partner with various State Govts through NeGP’s Common Service Centres Scheme to deliver Govt services like Birth/death certificates, Land record s, etc to the Rural Citizens at their Sahaj Kiosks. Mr Panigrahi also works with Rural Management academia closely and is in the academic Board of Xavier Institute of Management, Bhubaneswar as well as Welingkar Institute of Management Development and Research, Mumbai. He is also in the Board of CSC e-Governance Services India Limited.Sanjay has been a Speaker at many National & International Seminars on Indian Rural Market. He has a number of Papers published Internationally on e-Citizen Services and Digital Accessibility in Rural India.